he focus is clear. At Domaine Duroché there is Gevrey-Chambertin, Gevrey-Chambertin and Gevrey-Chambertin. Nothing else. 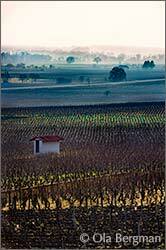 Whether it is grand cru or regional appellation you’ll find all the vineyards around Gevrey-Chambertin. 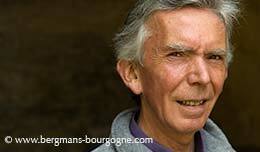 Since his arrival at the domaine in 2005 Pierre Duroché has steadily moved towards more precise and balanced wines. – A lot has changed at the domaine, he says. Especially in the vineyards. It is all about details. But it takes time to see and evaluate the results. Even in the coming years there will be changes. When Pierre Duroché talks about his wines words like balance and precision are frequently used. He points out that he produces less wine today, but a wine which is more precise. Low yields are important. But not too low. Balance is the keyword here. The same goes for concentration, maturity, acidity etc. – You only have one harvest a year, he says. So if you want to try something new it means you only have one chance to do it. My father stopped using weedkillers a few years before I arrived at the domaine. 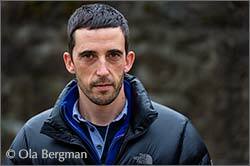 I then continued in the same direction, moving towards a more natural way of working. There is very little white wine at Domaine Duroché. What there is is limited to a single parcel of chardonnay in Grands Champs, destined for the Bourgogne blanc. Grands Champs is east of the route nationale, about opposite of Mazis-Chambertin. The vines are fairly young, planted from 2003 to 2005, and the soil rich in chalk. 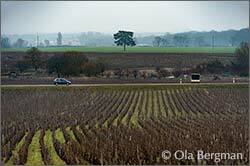 The Bourgogne rouge comes from Roncevie a bit further south of Grands Champs. 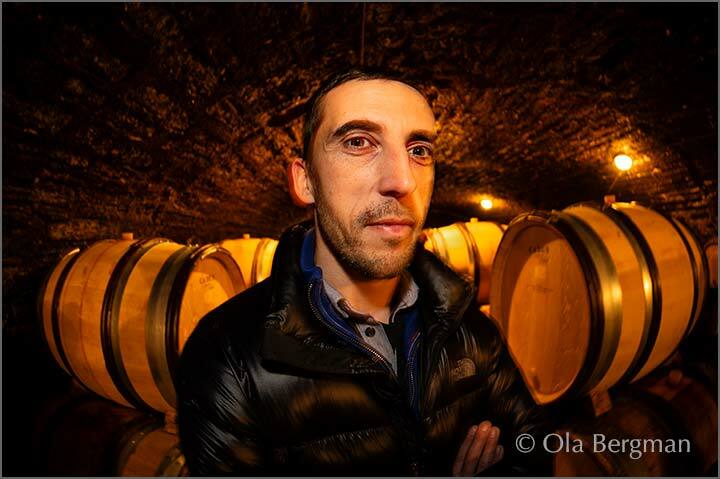 Fifth-generation winegrower Pierre Duroché has bought a few parcels of village appellation Gevrey-Chambertin during his years at the head of the domaine, but it was his grandfather, Philippe Duroché, who laid the groundwork. 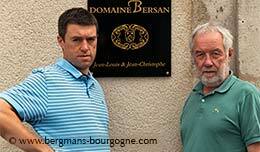 With three hectares he began building the domaine in 1954. 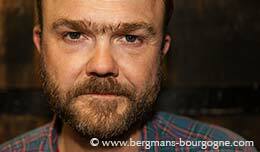 – Back then they had Charmes-Chambertin and Lavaut Saint-Jacques, says Pierre Duroché. There was some Bourgogne, village Gevrey and Côte de Nuits-Villages as well. My grandfather came from a domaine in Brochon, so he had quite a lot of vines around there. They set up next to the church here in Gevrey-Chambertin, but it turned out to be too small. So in 1955 they bought this place, at Place du Monument. Later the same year Philippe Duroché bought a parcel in Chambertin Clos de Bèze, as well as some more Lavaut Saint-Jacques. The Clos de Bèze vines were planted in 1920 and are today the oldest parcel of the domaine. In 1980 Gilles Duroché, the father of Pierre, added some more village Gevrey and in 1989 he bought a parcel in Latricières-Chambertin. There has been some changes over the years. The domaine used to have a parcel in the Gevrey-Chambertin premier cru Bel-Air. 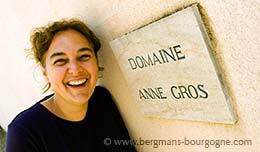 It was a small one and the opportunity to swap it for a parcel in Estournelles Saint-Jacques, one of the premier crus in the Combe de Lavaux just up behind the village itself, where the domaine already owned one parcel, came up. – The Estournelles Saint-Jacques is well-placed. Our parcel is just next to Clos Saint-Jacques. It is a part which gets more sun. The soil is not very deep. Very stony and very poor soil. The higher up the slope the poorer the soil. The vines were planted in 1981 and we only produce one or two barrels, depending on the year. I believe the name Estournelles comes from Les Tournelles, small towers. In the same valley, but below Estournelles Saint-Jacques, is Lavaut Saint-Jacques, another premier cru of the domaine. Here at the bottom of the valley it is cooler and as a result this is always the last to be harvested. – There is a lot of humidity here at the bottom the valley, says Pierre Duroché. Estournelles Saint-Jacques higher up the slope is sunny, with a dry wind. 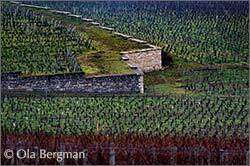 It is a part of the Combe de Lavaux where there is very little of disease and rot. On the other hand, down in Lavaut Saint-Jacques you always have lots of problems with mildew etc. Especially at the beginning of September. In the spring the bud break in Lavaut Saint-Jacques is one or two weeks later than the other parcels of the domaine. – I have about one hectare in Lavaut Saint-Jacques, and some vines are quite old. The oldest were planted in 1923 and the youngest are about 40 years old, so I make two cuvées – one old vines cuvée, which is only two or three barrels, and one normal cuvée, which is about 15 barrels. There are four grand crus at Domaine Duroché – Charmes-Chambertin, Griotte-Chambertin, Latricières-Chambertin and Chambertin Clos de Bèze. – Since our parcel in Clos de Bèze was planted in 1920 it was planted with horses in mind, not tractors, says Pierre Duroché. There are not many bunches on each vine, but there are many vines, so the yield becomes quite decent. – We are right in the middle of Clos de Bèze, just below Bel-Air. The bottom part has deeper soil. Higher ups the slope there are more stones. The Charmes-Chambertin of Domaine Duroché comes from several parcels. There are two parcels at the northern end of the appellation and three in the middle. The middle part contains lots of pebbles and alluvial matter. One of the northern parcels is part of an old quarry and the other, right next to Griotte-Chambertin, very calcareous according to Pierre Duroché. 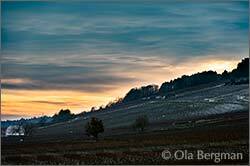 – Latricières-Chambertin is at the end of a valley. A bit like the Combe de Lavaux, cooler and more humidity. It is flat. The soil is poor and it produces a wine with lots of saline minerality. 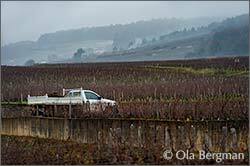 – Of the grand crus I make Charmes-Chambertin is a bit different from the others. It is because of the terroir. 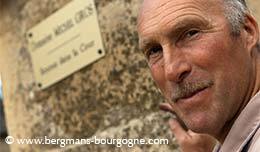 Clos de Bèze, Griotte and Latricières all have their distinct characters, but in terms of quality they are very close. Charmes is a bit different. It is charming and elegant, but there is a bit of power missing. Every year it is the same thing.